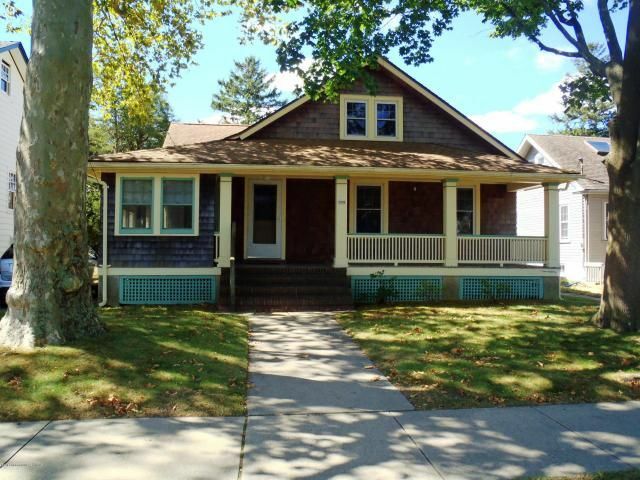 Amazing older home situated just a short walk to town (and the train) and the Manasquan Beach. Features include 5 bedrooms, beautiful wood floors, high ceilings, solid wood doors & trim, brick fireplace, enclosed porch, outside front porch, greenhouse, outdoor shower, separate building with office, detached garage plus full basement and attic. One of the few homes in town that is not in a flood zone and Sandy water did not come near. Home is in move-in condition so future updates can be done at buyer's convenience.This is a lovely home for year-round use or to use as a beach house. This home is one of a kind.